Dreamworks hugely anticipated film, Home is going to be the perfect addition to the Dreamworks catalogue! It seemed like a very long time until there were toys and dolls available to buy (why do they keep us in suspense like thaaat?? ), but now there seem to be more dolls and toys than you can shake a stick at, and boy OH boy (gettit), are there some beautiful Home dolls out there, just waiting for some lovely owners! With voices from Jim Parsons, Rihanna, Jennifer Lopez and Steve Martin, this film is going down as another of Dreamwork's massive hit at Box Office smashes, right across the world. If you can't wait any longer and want to go straight to the selection of Home (2015) Dolls and Toys, then you'll find a great selection of plushies and more at Amazon.com here now, or if you're looking for your favourite Boov dolls on Amazon.co.uk, then you need to visit here. Did you know that Dreamworks Home is actually based on a kids book, called "The True Meaning of Smekday" by Adam Rex. It came out back in 2007, and the creative bosses at Dreamworks were so taken with it, they decided to turn it into a beautiful animation. Thank goodness they found the Smekday book, or our lives would never be graced by the uber cuteness of that little alien Boov, Oh. Be sure to bookmark this page and keep checking back for more amazing Home dolls and toys, that will get added. Thanks for stopping by, and hope you enjoy browsing. 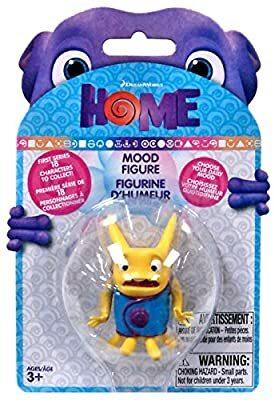 To kick things off on this page dedicated to the gorgeous dolls and toys from Home, is none other than the lil guy (or rather, Boov) himself, Oh. Not just your regular stuff plush Oh, though, this Oh also talks. 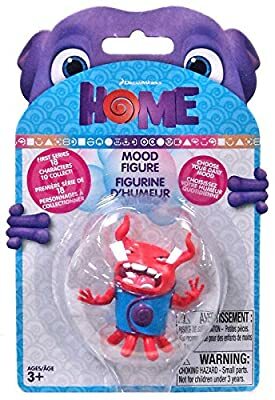 If you have any fans of Dreamworks Home, in your home...then talking Oh, is a worthy addition to an animated movie toys collection. He will speak a total of five different phrases, that you will recognise from the film, in the unmistakeable and hilarious voice, of The Big Bang Theory's very own, Jim Parsons. How cool, right? The plush, Home doll, is beautifully embroided with exquisite detail, making this fine collectors item. 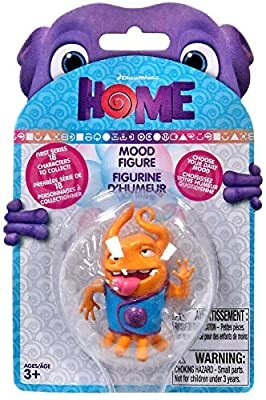 The latest offering from Dreamworks is making Dreamworks and animated movie fans alike go crazy for the gorgeous characters in Home! Which character do you think will be the best one? Will Jim Parsons be a fabulous Oh, or will Rihanna steal the show with her Tip? How about JLo and Steve Martin? Will they be the talk of the Dreamworks town? Vote right here now! Your own Dancing Oh Doll! 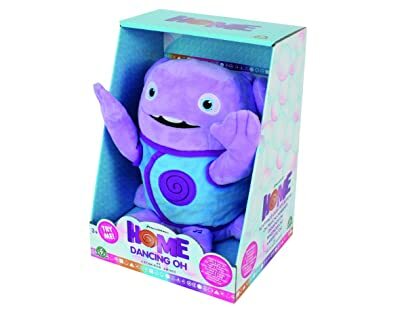 We all know how Oh loves to dancing...so what better toy to have in your collection, than your very own Dancing oh! Strangely, I haven't found this available (yet) on Amazon.com, but you can get it right here from Amazon.co.uk. Don't worry, as soon as I find it on the American site, I'll add the link right here for you. Add this page to your bookmarks and keep checking back. This little guy is the perfect for the discerning Home fan...and especially fan of the Boov, Oh, himself. Standing at around 6 inches (13 cms) tall, this plush soft doll, is the perfect little treat to go with the rest of the (inevitable) Home dolls and toys that you will be getting. A really cute thing about this little Oh doll, is you can get him in different colors! Just a simple click on any of the links here, will take you through to Amazon, where you can select the color you want...although, I'd always go for the original purple, myself. Ever wondered what the cute lil alien Boov, Oh, would look like as a baby? Well, if you've seen the movie, you've probably got a fairly good idea - however, if you're not so lucky to see it yet (and what are you waiting for...go see this movie) here is your answer...this is what Oh looks like as a baby - int'he a cutey, eh?? 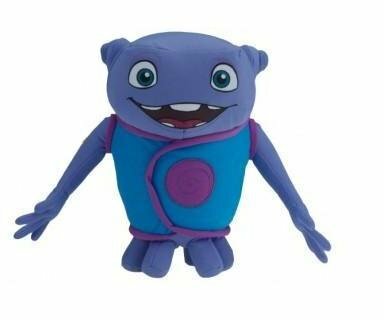 This plush Home doll is only 6 inches tall, so he's perfect to keep in your bag, or car...or in your little one's school bag, or on their desk as their lucky exam mascot! Well, however you decided to add this Boov into your toy collection, you'll be very glad that you did. 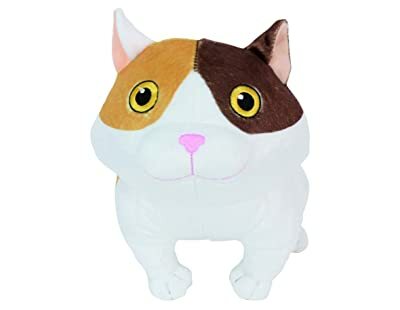 A talking PIg the Cat doll! Hooray! We have another famous cat! In Dreamworks Home, the gorgeous cat, Pig, is the star feline. 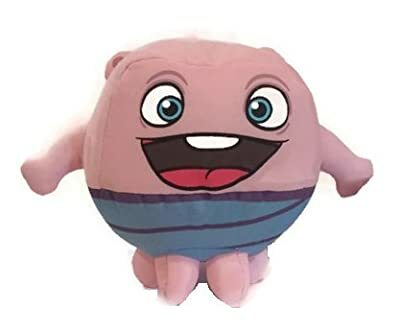 So what better way than to take a piece of animated movie memorablia home with you - then to get a plush doll, of Pig the cat...but this is no ordinary plush doll...it's a talking plush doll. Yuuuup, it comes complete with the purr sound effects, like you hear in the film. Cute, right? Strangely, this Home doll, only appear to be on Amazon.co.uk and not Amazon.com. However, add this page into your bookmarks and keep checking back, if you're specifically shopping in the US - as soon as it comes available, I'll add the link for you. In the meantime, check out all the Dreamworks Home dolls and toys at Amazon.com right here, now! 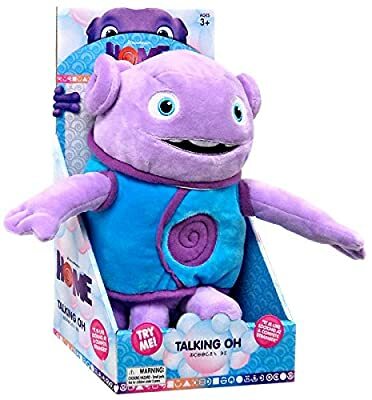 Talking Tip Doll, including Oh Toy! If you've always wanted to own a doll version of Rihanna...then, here's your chance. Ok, ok, so the doll might not look much like her, but you'll have her voice for sure. Infact, she'll recite for you, 5 phrases from the film...for you to listen to over and over, to your hearts delight. This is such a great little doll combo - you get a Tip doll (measuring in at 24cms) and a little Oh toy too (measuring in at 9cms). Double bubble! But that's not all. The Home doll set, comes complete with make up accessories for Tip (y'know incase you were trying to teach your kids how not to be a feminist) and removable shoes. So much fun to be had! 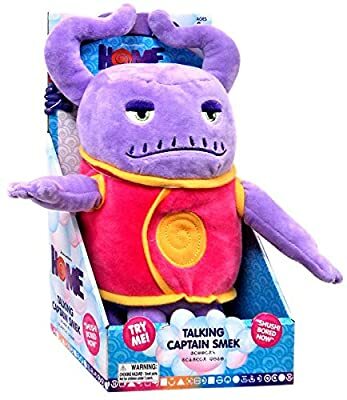 Here's the big guy, Captain Smek! Voiced by the incredible, Steve Martin (...its such a shame his surname isn't Martian...how appropriate would THAT be). Like his comrades from the same range, he can talk too. He comes with 5 different phrases that you would have heard from the movie. Sweeet! Like his fellow Boov, Oh, this Captain Smek has beautiful embroided detail to make for a really beautiful and interactive soft toy. He stands at a cool height of 22cm, so when he's stood with your other collectable toys, he will stand out nicely. If you're not sure which Home Dolls to buy, take a little look at this Home Dolls and Toys review to get some ideas. In this fabulous little bundle of Boovy goodness, you get not one, but seven different Boovs. You get the one, the only; Oh! Plus Love, Anger, Lying, Excited, Frightened and not forgetting Captain Smek himself. If you can't choose which one you like the best, then there's only one thing for it - get as many as you can! Each character in this awesome collection comes in at a modest 7inches, so you can stand all your Boovs nicely in a row! The cool thing about this film, and this Home doll set, is the way it introduced color and their association with mood and feelings. What a perfect way to introduce this idea to little ones, than with sweet little set of Dreamworks Home plush dolls! Tell me, what does every animated movie fanatic love more than anything? Of course, the movies...but it's the merchandise, right? Not just the dolls, but collectibles. What's better than that? Collectible dolls! Dreamworks Home have created a gem of a set of collectible dolls, or at least Home character figurines. 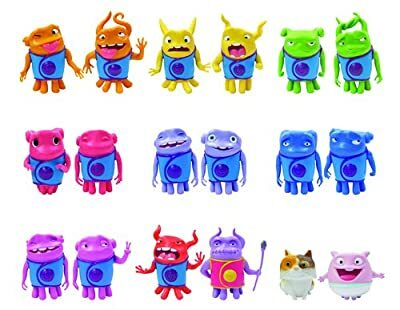 Here is a selection of their 2 inch, Boov Mood Bubble dolls. They are utterly adorable, and come packaged in a beautiful little bubble. In all, there are 18 different ones to collect. If you're fortunate to live in the UK, then you can buy all 18 in one easy purchase, click here now to be taken to Amazon.co.uk's page where you can buy all 18 Home Mood Bubbles, or if you don't want all 18, but fancy starting a collection with a smaller bundle, you can find Amazon.co.uk's 3 piece Home Mood Bubble set here. If you live in that fabulous country, the Unites States, then never fear, you can still get hold of these great Boov character figurines. We've featured close ups of the packaging and designs below, but if you're in a hurry, you can get 1 figurine from Amazon.com by visiting here right now. Or, of course, simply click on your favorite image below to be taken to the right page on Amazon.com! Enjoy! There was a rumour a few years back that Dreamworks have bought, and would be making an animated feature of the Trolls. Now, if you're not sure what these are, think back to the 80s. 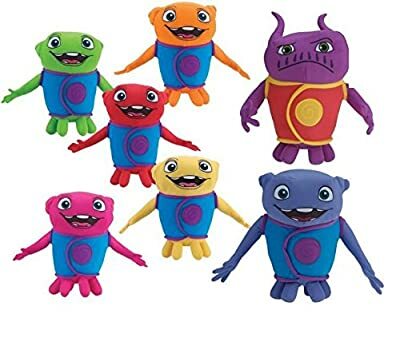 do you remember those little plastic figures, of wrinkly and often naked troll like dolls, with big eyes, and their iconic big, bright, multi colored hair. Well, knowing that information, and knowing that Dreamworks, so far, haven't released such a film, it's kinda cool when you noticed the similarities between the Trolls and the Boovs. They both come in different colors, they're both super cute, and they're collectible! It's a no brainer...call me a genius...haha! If you're a massive fan of animated movies (and let's face it, who isn't?) and love the dolls and toys that get released for them, even more, then you will love our other animated movie doll pages. We have everything from Big Hero 6 to the Boxtrolls...so go grab a cup of tea or coffee, and have a browse and find something as a special gift for someone, or as a treat for yourself. Go on, treat yourself! Be sure to bookmark this page and add it to your favourites - or simple add it to your Pinterest page. More Home dolls will be added week by week, so keep up to date with what's new, and keep checking back. Thanks for stopping by.